There should only be one of the first tasks of the young fellows Wilhelm Wagenfeld, but it was a work which attracts more than a quarter century after his draft attention. At the age of 24 years Wagenfeld got asked a task in the Bauhaus workshop in Weimar by Moholy-Nagy, whose solution should be early hint at his later career. 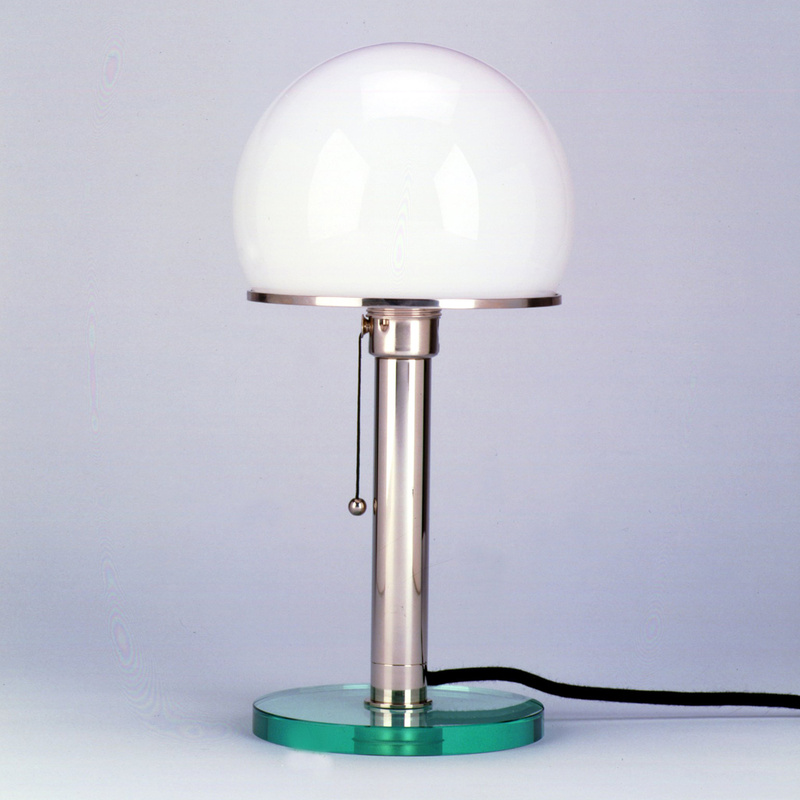 Wagenfeld created the so-called "Bauhaus glass lamp", whose copyright he still holds after his death in 1990. Thanks to a collaboration with the lighting manufacturers Tecnolumen from 1979 but it is still possible to purchase this lamp. As authorized by Wagenfeld re-edition, the range of the series now consists of four different designs. The WG 25 GL represents a variant with Nickel tube or lamp neck and a foot of glass is dar. Made true to the original table lamp from an old recording as well as an original copy. The industrial-inspired design is in the clear on the essential reduced form, which makes the WG 25 GL a timeless light source.